An Italy food tour is many people’s idea of heaven, mine included. There’s no single Italian cuisine as such: Italian food really encompasses around twenty different regional cuisines. The one thing they’ve all had in common, for me, is that they’re mouth-wateringly fantastic. After many Italy vacations, I decided to devise this ultimate indulgence, a culinary tour of Italy, taking in seven top Italian destinations. You’d get to see the best of each, and also experience the best Italian cooking and regional dishes. This is a tour of Italy that can take as long as you wish. I’ve suggested places to see in each city, and what local dishes to try and where. We’ll be covering everything from the best cicchetti in Venice to the best pizza in Naples, and the best Bologna food tour to the most scrumptious Sicilian street food. The itinerary is also a series of suggestions. You could just stick to one area, and Sicily holidays based around sampling Sicilian cuisine would be amazing. Or you could combine several, building a Tuscany itinerary around trying a bistecca in Florence or cacciucco seafood stew in Livorno. We suggest an Italy food tour package, as well as city food tours to get you started at each destination. However you choose to do it, trying the best in traditional Italian food in some of the best places to visit in Italy is a wonderful way to experience the country. 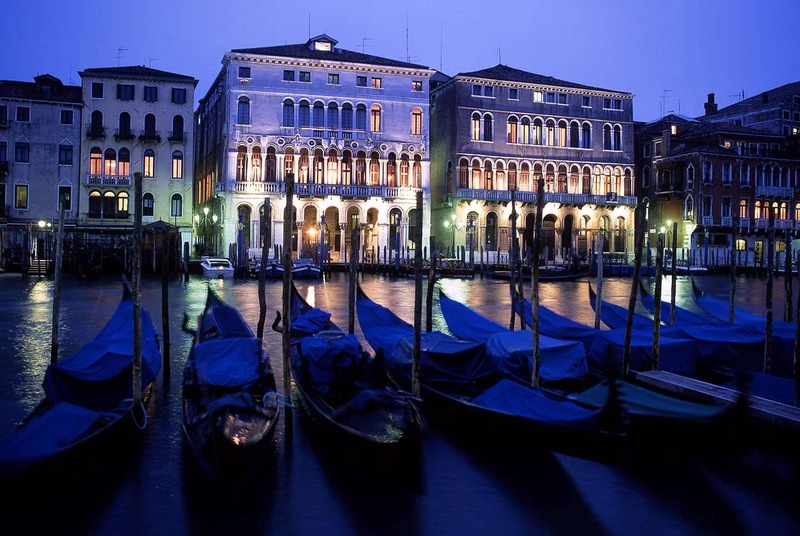 Venetian cuisine is based around local produce: seafood from the lagoon and Adriatic, vegetables from the lagoon islands and hinterland, and rice. There are thousands of restaurants in Venice serving food from all over Italy and beyond, but I’ve found over many visits that eating local is best. Bars all over the city serve cicchetti (sometimes spelt cicheti), bar snacks along the lines of Spanish tapas, albeit with different ingredients. These include seafood, local ham, cheeses, sausages, and vegetables including delicious artichokes from nearby Sant’Erasmo, the garden island that’s as far off the beaten path in Venice as you can go. Many signature Venice dishes originate from the sea, of course. They include sarde in saor, sardine with raisins, onions and pine nuts marinated in vinegar. We’ve also loved risotto al nero di seppia, cooked in black cuttlefish ink. A friend bought us a Venetian cookbook after visiting the city with us, and the leek risotto from that has become one of our home menu mainstays the last few years. Venture out into the lagoon to the island of Burano, and one of the restaurants there, Trattoria da Romano, serves another local delicacy, risotto di gò, which includes the black goby fish that lives near the lagoon bed. Bologna is food heaven. The sauce that’s many people’s introduction to Italian food bears its name, Bolognese. However, this sauce – known locally as ragù – tastes very different – and much better – in its place of origin. My wife took me to Bologna for a recent birthday, and food-wise it was like all my birthdays and Christmases rolled into one. The city is the capital of the region of Emilia-Romagna, which many would suggest is the best region in Italy for food. 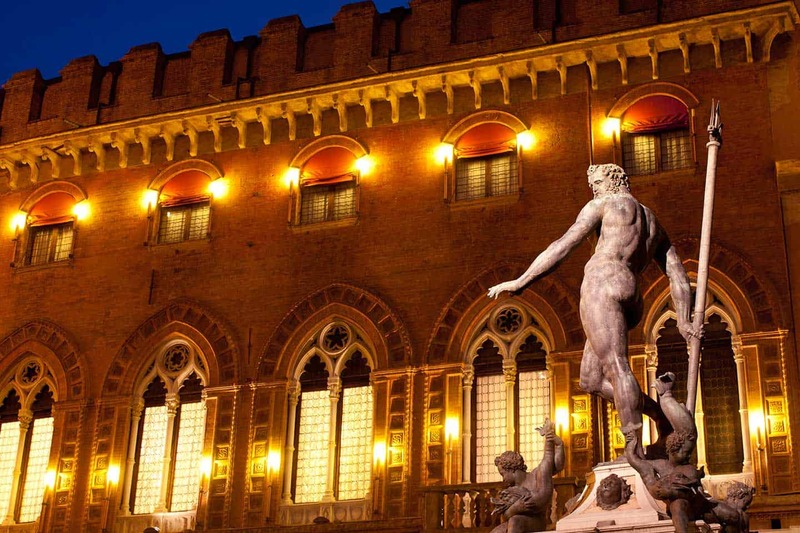 Modena (home of the delectable balsamic vinegar of Modena) and Parma (Parma ham and Parmesan cheese, or parmigiano reggiano) are both easy day trips from Bologna. It’s a popular starter across the world, but try the Parma ham and melon starter somewhere. We never tire of the salty yin and sweet yang of this simple but stunning dish. Bologna is a very beautiful city, quite distinctive in appearance because of its red brick buildings and porticoed streets. 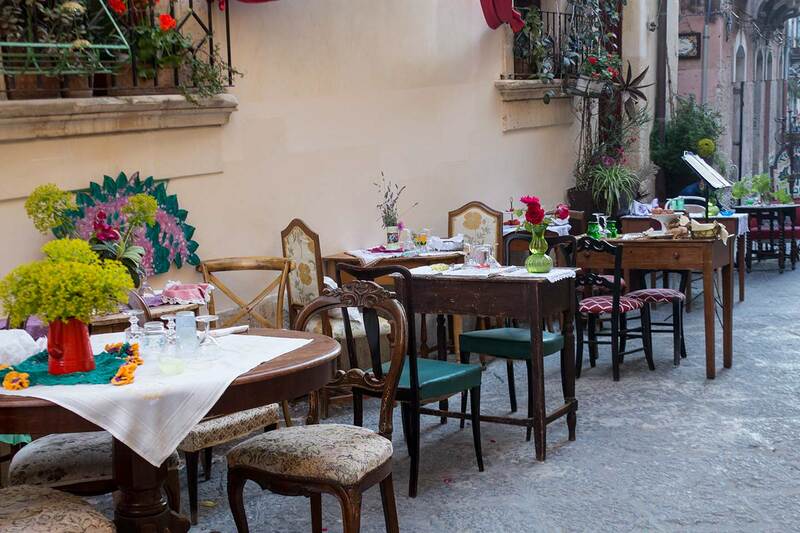 Food lovers should head for the Quadrilatero, a small area of narrow streets between the Asinelli and Garisenda towers and Piazza Maggiore. The city also gave the world mortadella sausage and tortellini, the ring (or navel!) shaped pasta you see all over the world. There is such a wealth of Tuscan cuisine to discover, and every time I return I seem to discover even more. 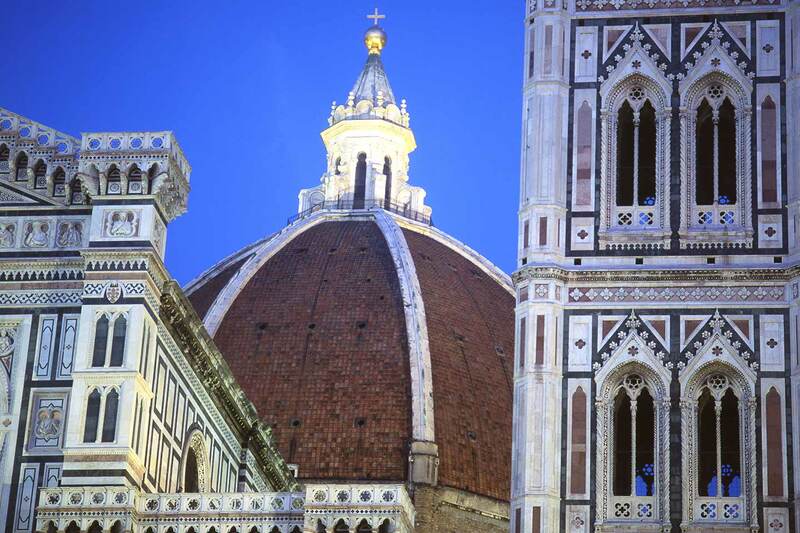 Florence is among the best places to stay in Tuscany, as it’s easy to branch out from there to the other main cities and towns. One of my favourite Tuscan dishes is ribollita, the sort of dish you cobble together with whatever’s left in the kitchen cupboard. Its staple ingredients are stale bread and cannellini beans. What comes with this tends to vary from place to place, but usually includes a hearty, healthy selection of vegetables. Florence’s signature dish is bistecca alla fiorentina, an enormous and delicious T-bone steak cooked rare. It would be bordering on sacrilege to ask for it to be cooked ‘well done’. Chef will almost certainly refuse your request to cremate such a beautiful piece of meat. It’s normally served with a selection of contorni – vegetables – including garlic potatoes. The Chianti wine region is just to the south of Florence, with many a fine accompaniment to Tuscan food to choose from. Further south, the sublime medieval city of Siena is home to panforte, a delicious rich flat fruitcake. Some of the best food in Tuscany can also be found to the west of Tuscany, with the truffles of San Miniato and the delightful olive oil and zuppa di farro – similar to wheat – from Lucca. How Many Days in Livorno: Two. The port city of Livorno is the least-known destination on our gastronomy of Italy tour. However, it’s home to one of the best surprises in the country: cacciucco, an outstanding seafood stew. It’s up there with the better-known bouillabaisse of Provence and Portugal’s caldeirada and cataplana. Recipes vary greatly, with some using red wine, others white. Garlic, parsley and tomatoes form the basis of the sauce, and the fish can vary, depending on the catch and season. Mussels, clams, prawns and baby octopus often feature, as do gurnard, sea bass, monkfish and sole. It’s then served with bread brushed with garlic. Livorno is one of the hidden gems of Italy, very much overlooked and underrated. Many of its buildings were lost during heavy bombing in World War II, but it has held onto its multicultural identity from its time as a free port, when it was also known as Leghorn. It was a real Mediterranean melting-pot, with sailors from all over Europe frequenting the port’s bars. The best things to do in Livorno include exploring Piccola Venezia (Little Venice), the atmospheric canals and streets close to the port. The Mercato Centrale (Central Market) is the largest in Italy, and where the daily catch is sold on. The artist Amedeo Modigliani had a workshop upstairs in the building. Livorno port is an arrival point for cruise passengers who are then whisked away to Florence for the day. Livorno is also an ideal starting point for a day trip to Pisa, which is only 20 minutes away by train. 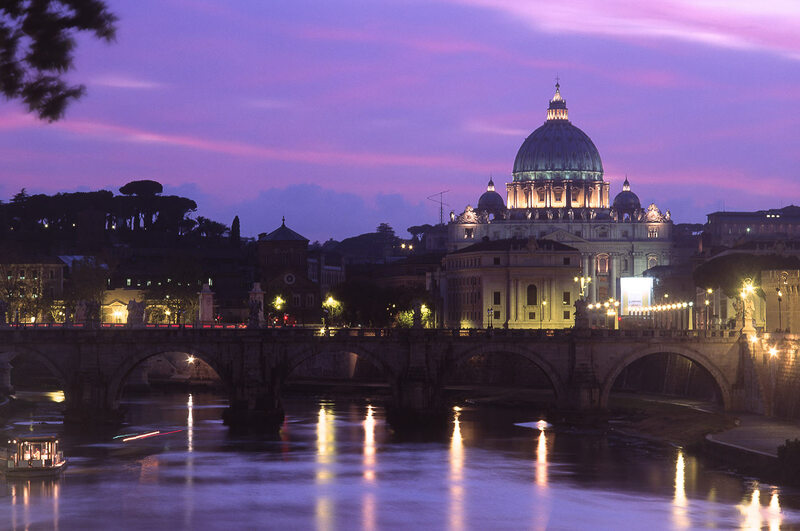 Where to Eat in Rome: Testaccio, Trastevere and the Ghetto. Roman food is an extremely broad church, just like St Peter’s Basilica in the Vatican. Its influences go back thousands of years, and are borrowed from various cultures of people who have made the city their home. I didn’t think so first time around, but on my second visit I came to see that Rome really is among the best food cities in Italy. I found that the further I went off the beaten path in Rome, it was easier to find traditional (and new) Roman dishes. One of my most enjoyable discoveries was the survival of traditional Jewish dishes in modern cucina romana. My favourite Roman dish is probably carciofi alla giudia, Jewish-style whole artichokes deep-fried, then served alone, with bread and lemon or (my recommendation) pecorino cheese and saffron. The season for this is February to April if you want your artichoke to be of local origin. I also found baccalà, salt cod, served in several places in the Ghetto. It’s usually deep fried, and you can have it by itself, with vegetables or even chips. Cod and chips in Rome: who would have thought it? Pasta and pizza are also prominent on the Roman menu. Pizza Romana has a thin, crispy base, distinctly different from its Neapolitan cousin. Cacio e pepe is a Roman pasta dish with a creamy sauce made from pecorino, black pepper and pasta water. Amatriciana is another popular pasta sauce, made from pecorino, tomatoes and pig’s cheek (and sometimes pancetta). The trapizzino is a recent Roman innovation, a pizza folded and filled with popular Roman dishes from broccoli e salsiccia (broccoli and sausage) to tripe to chicken with peppers. We can’t leave the Eternal City without mentioning saltimbocca. Its name translates as ‘leap in the mouth’ and it certainly does that. According to Roman tradition, the main ingredient is veal, though I’ve also seen chicken saltimbocca at some restaurants in Rome. The veal is wrapped in prosciutto (Parma ham) and sage leaves, then cooked in a white wine (or occasionally Marsala) sauce. 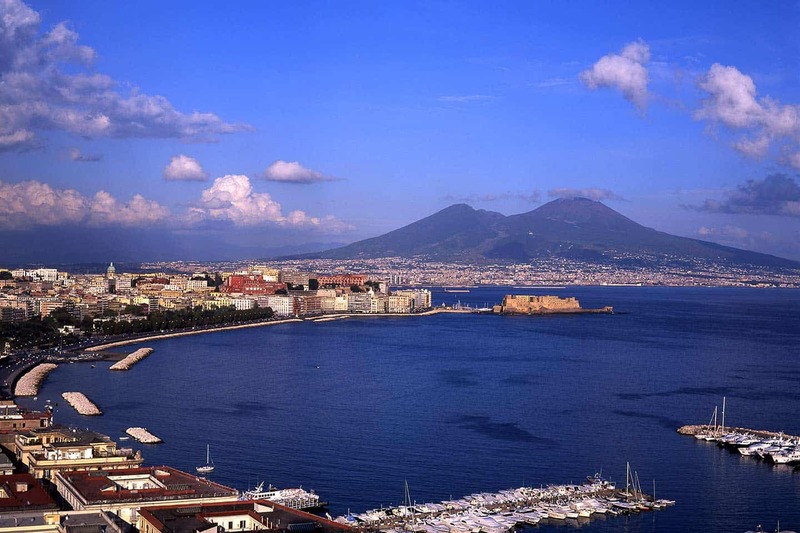 How Many Days in Naples: Three days would be a good introduction to the city. If you’re staying for a week or more, you’ll have plenty of time for day trips from Naples, including Pompeii. 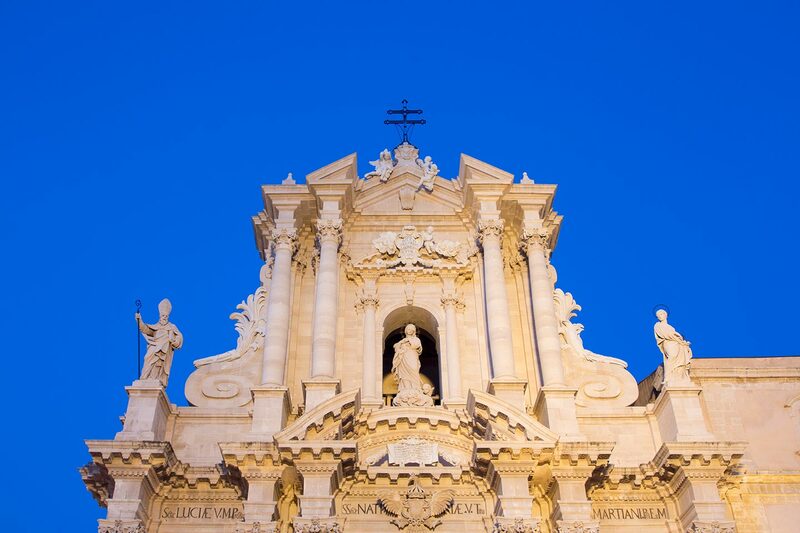 Naples is a fascinating city, with a wealth of layers of life and history to explore. You need a few days there to try some of the best Neapolitan dishes, mixed with discovering some of its incredible art treasures. Venture underground into the Catacombs, or discover the cult of the city’s patron saint, San Gennaro. You can visit the Museo Arqueologico Nazionale – one of the best museums in Italy, I’d venture – for a few hours, then sit down at one of the oldest pizzerie on the planet, delighting in an original Naples pizza. Naples is the home of pizza. The idea of bread (usually focaccia) with a topping goes back to ancient times. But the refinement of the idea to the pizza in Naples that you see today dates back to the late 19th century. Tomato was already a staple topping by this time, but pizzaiuolo Raffaele Esposito made a ‘pizza Margherita’ in tribute to the Queen Consort, Margherita of Savoy. This was topped with tomato, mozzarella cheese and basil leaves – roughly corresponding to the colours of Italy’s red, white and green national flag. The Antica Pizzeria Da Michele is one of the oldest in the city, and serves some of the best pizza in Naples. They only serve two varieties – the Margherita and its predecessor, the marinara. Both are mouth-wateringly delicious. The marinara is topped with garlic, oregano, olive oil and tomato. The beauty is in the simplicity. The end result is a dough that’s softer than pizza Romana, and melts in the mouth. The mozzarella di bufala is a product from the surrounding Campania region. As you travel beyond Salerno towards the great ruins of Paestum, you see many roadside signs offering it for sale fresh from the farm. The limoncello liqueur also originates from the Sorrento area, close to the Amalfi Coast. Naples street food is another joy to discover. You can get a cuoppo of fried just-about-anything. This can be fish, vegetables, deep fried pasta balls, rice balls, seafood, you name it. Ask for a cuoppo di mare and you get fried seafood. A cuoppo di terra is a selection of fried food ‘from the land’. No trip to Naples is complete without sampling a sfogliatella. The riccia version of this delicious dessert has many delicate frills of pastry, with ricotta cinnamon and candied peel hidden within. For me, Sicilian food has always been among the most exotic and exciting in Italy and indeed the Mediterranean. The island has been occupied many times over, with influences as diverse as Carthaginian (modern day Tunisian), Greek, Italian, Norman and Arab all present in what you can eat there today. The produce you get in these hotter climes is incredible. Sicilian olives are delicious, lemons and tangy blood oranges grow on trees. One of the most prevalent vegetables is the aubergine, or eggplant, and this features in the best known Sicilian pasta dish, pasta alla Norma. It’s also the main ingredient in caponata. These dishes originate from the east of the island, in the shadow of Mount Etna. Etna dominates much of the Sicilian landscape, and its eruptions have greatly influenced what can be grown in the area. The slopes of the great volcano are home to some of the best Sicilian wines, but the soil is not as good for cultivating vegetables. Yet Etna played a very important role in the development of arguably the best dessert in Italy – gelato. The word translates as ‘frozen’, and the concept comes from the Arabs, who would bring ice down from the mountain and flavour it with ingredients like honey. Granita has the same origins; the ice is crushed then flavoured. Granita stalls are everywhere in the main Sicilian towns and cities. Sicilian recipes to the west of the island are different to those in the east, simply because of the availability of different ingredients. ‘Red pesto’ is of Sicilian origin, known there as pesto alla Trapanese, after the western town of Trapani. Pasta con le sarde is pasta with sardines, served with fennel, pine kernels and sultanas. 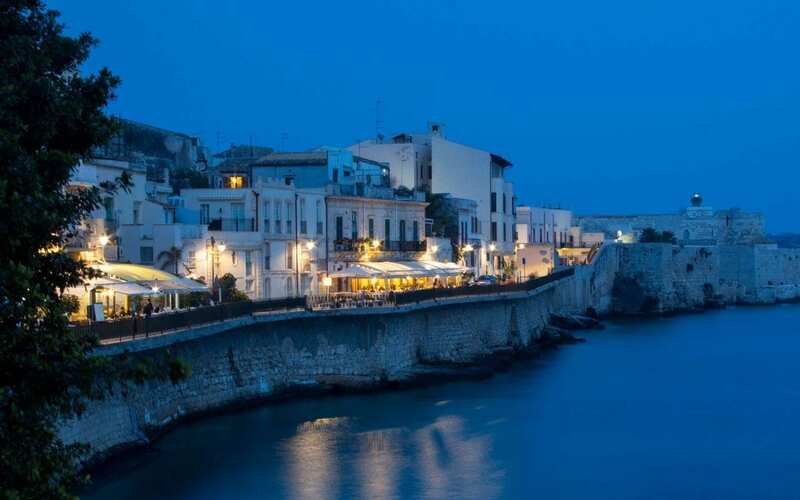 The far west of Sicily is also where Marsala wine, an exquisite dessert wine, is from.